I decided to blog about this Chalkboard wine glass I made as it was so simple to do and ready cost effective to give a bit of individuality to your home. Before moving out I always had in mind buying wine glass charms and I searched around for some and I couldn't find any to my liking. 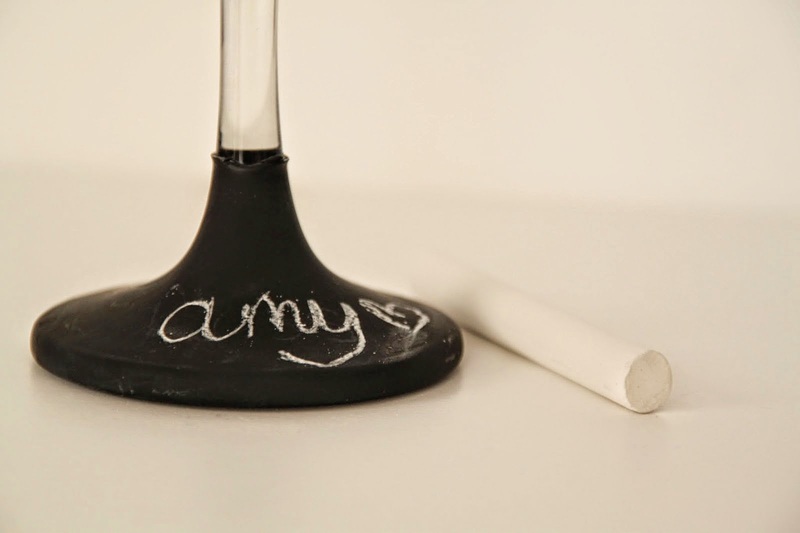 I went on pinterest and found a few people had simply painted the bottom of a wine glass with chalkboard paint and then used a piece of chalk to write on your guests or your own name. I bought size wine glasses from Wilkinsons which were a mere 50p each, £3.00 for a set of six. I purchased some Black Matt Paint from Amazon for just under £2.00 including postage. All I did was place Scotch tape and newspaper around the stem of the glass at the point in which I wanted the paint to stop. ( I apologize I do not have a photo of this part as I did the glasses around 6 months ago ) Once the top end of the glass was covered all I did was dip the bottom of he glass straight into the pot of paint and then gently lifted it up, letting the paint drip back into the pot until it had stop running. Once the dripping had stopped I place the glass upside down and left the glasses to dry for 24 hours. Once dry, I carefully peeled of the scotch tape and my DIY Chalkboard wine glasses were done! They were so easy and simple to make and I bought a 50p pack of chalk in white ( You could even use coloured chalk) I really liked the even they gave and it's easy to write name onto the glasses and come in very handy when hosting parties and get togethers. Everyone who I have had round for parties etc have complimented them and asked me where I got them from, they are always amazed when I tell them how cheap they were to make! They were just cheap Wilkinson glasses I have 6 and they are perfect! 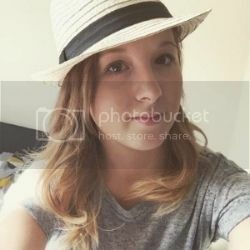 It was soo easy to do anyone could manage this DIY! My guests like to get creative when using the glasses also haha!